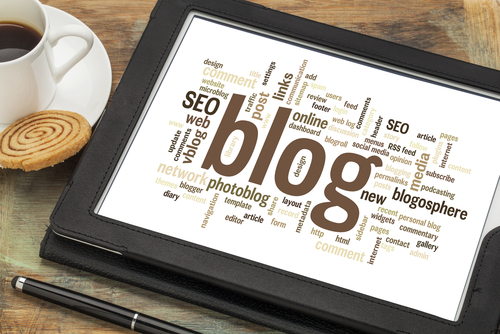 Starting a blog is a terrific way to create an online presence for both personal and business reasons. You can build a blog for free and begin posting content right away. But what good is that content if no one is reading it? When that’s the case, then, it’s time for you to think of strategies to be seen in the world of web and drive traffic to your blog. Being a business owner, you are never alone in your frustration of getting less attention with your blog. You may have felt giving up blogging, just like what other business owners have did, but with the advancements that we have today, there is no reason for you to do so. However, to drive traffic to your blog may sound so easy, especially with the thought that you have everything around you with the help of technology, but the truth is, it takes patience, perseverance, and a lot of effort to gain the traffic you wanted for your content. Following are 10 ways to drive traffic to your blog, which have proven to be very efficient to every business owner that used it. An “attention-seeker” title. Too many business owners who write their blogs disregard giving their contents with titles that are catchy and tend to seek attention because they don’t know its importance. Well then, now you know! Titles are as important as your content. It is the very first thing that would catch the attention of your readers, and will give them the decision to either further read your writing or not. So if you want to drive traffic to your blog, work with your title first. Get to know your keywords. Yes, keywords. In every blog you write, make a research of the keyword that you want to use in your content as well as of phrases that would relate to it to know its rank in the search engine. Doing it so is easy with the help of Google’s Adwords Keyword Planner. Having known the right keywords and phrases to be used in your blog efficiently drive traffic to your blog. Keep your blog updated. Being good in writing is never enough to drive traffic to your blog. Readers need fresh contents everyday; they need something that is new to them. And aside from that, Google keeps track of websites being updated daily, prioritizing them in the search engines. It is important to write new blogs maybe twice or thrice a week. SEO-friendly content. Having SEO-friendly content is one important way to drive traffic in your blog which many bloggers forget to do so. Doing it so is very simple and easy especially because of the many blogging platforms that are SEO-oriented already such as WordPress and Joomla. Make use of photos or graphic design. I have a friend with a website in which she talks about the foods she cooks at home and the different dishes and delicacies she gets to taste each time she travels. And each time she does it, she never fails to take good photos, which is one reason why she has a lot of visitors in her blogs, even if in reality, some do not read them for they are just amazed with the photo. If you have the talent of taking photos or making graphic designs, then it is easier for you to drive traffic to your blog. In case you realize you don’t have that kind of talent, don’t get frustrated then for there are a lot of websites in which you can download photos with good resolutions already. Make use of the different social networking sites. Many writers have already made use of the different social networking sites such as Facebook, Twitter, and LinkedIn in driving traffic to their blogs. This is done so by enabling the Share button in your content through these sites which gives your readers the opportunity of sharing your content. If you want to drive traffic to your blog efficiently, better have an account now to the different social networking sites. Linking. Incorporating links plays a big role to drive traffic to your blog. Through this, the owner of the content you have just linked with will also have the decency of sharing the link of your content which will help spread your writing in the internet world. Furthermore, your readers will find it so convenient if they can see every link of other works you have sited right direct in the page they are already reading. Add video. As much as you make use of some good photos, you could also make use of videos to drive traffic to your blogs. This can cause traffic immediately in your blog especially if you share it via YouTube in which there already are millions of subscribers. Make it readable. The very reason why blogging platforms such as WordPress enable you to categorize your content into different subheadings aside from to drive traffic to your blog is for your readers to easily read them. No one wants to read a blog that is an eye-sore. Make use of it especially when you tend to write long articles. Install Google Analytics. Through Google Analytics, you will know which area drive traffic to your blog. Knowing this enables you to analyze the preferences of your audience.